I love macarons! They are gluten free, yummy, come in tons of varieties, and are just plain gorgeous. Last year when I was in NYC, I made sure to stop at Bouchon Bakery and sample several. 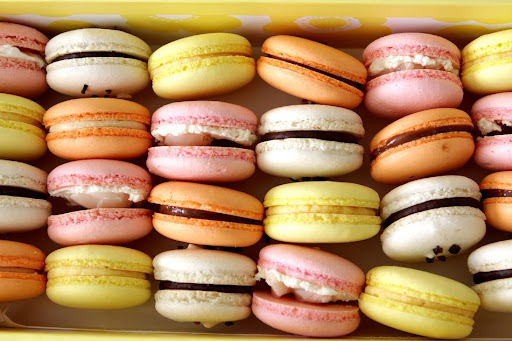 However, if you’ve ever purchased macarons, then you know they’re not cheap! 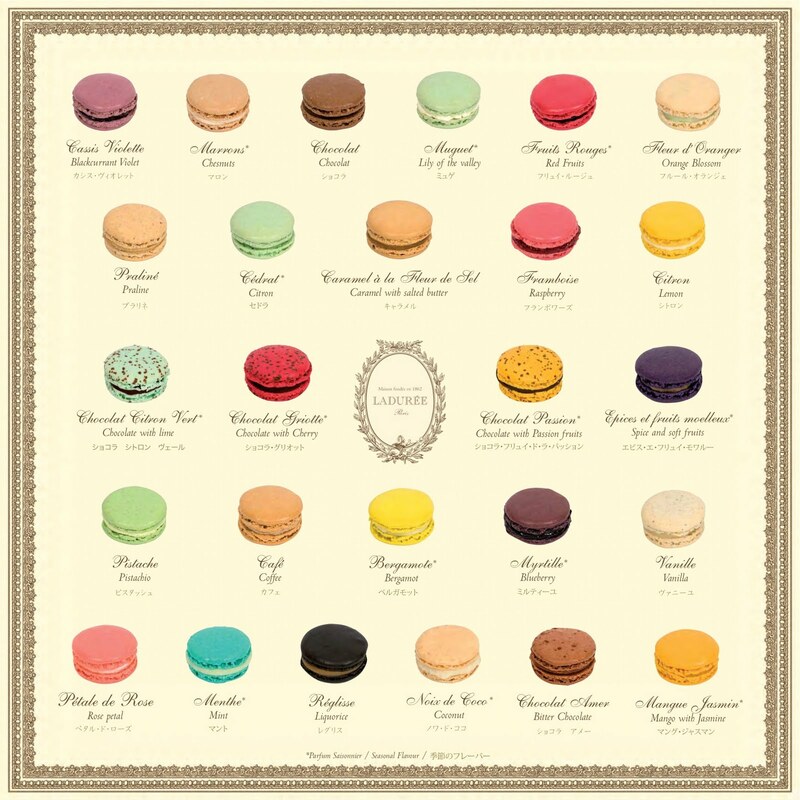 Laduree, perhaps the most famous macaron makers, are also the most expensive. (FYI, they recently opened a store on Madison Ave in NYC.) 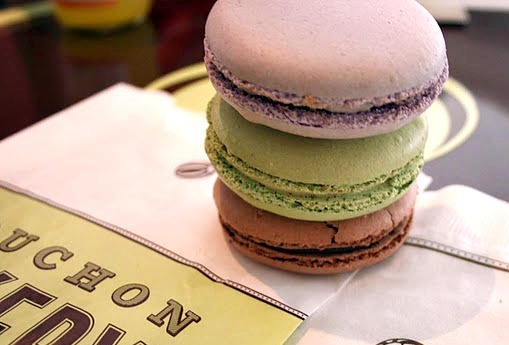 One macaron will set you back at least $5. So if macarons are so delicious but so expensive, why don’t we just do what we always do? Mmmmm hmmmm. Let’s DIY some macarons! 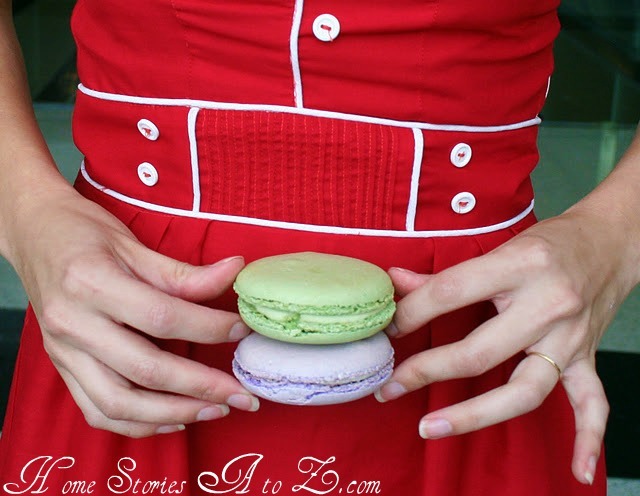 I have rounded up some of the best macaron recipes for us to try. Now I hear that macarons can be fussy and difficult to make, but these ladies make it look easy! I’m hoping that with all of these great tutorials, I will be able to whip up a batch for Christmas. Sparkly Vanilla Beach Macarons by Kevin and Amanda. Amanda offers lots of fantastic tips for macaron making and man does she ever make it look easy! A food scale is necessary in perfecting measurements for this recipe. Assorted and Colorful Macarons for Christmas by Gourmet Baking. Bertha supplies a fantastic basic recipe and then gives several detailed recipes for delicious fillings. 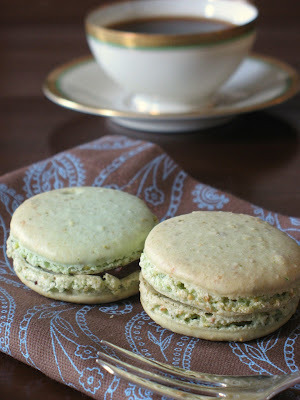 Pistachio Macarons by Tartelette. 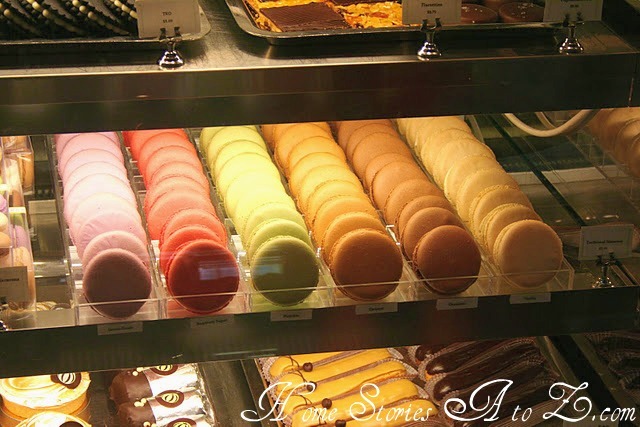 Helene from Tartelette actually has an entire ezine devoted to Demystifying Macarons. It’s an excellent guide for beginners like myself! How to Make Macarons by Eat. Live. Travel. Write. 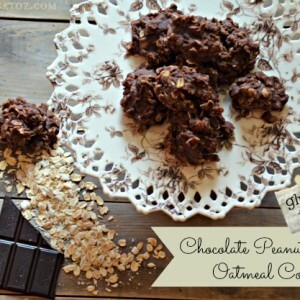 She offers some great step by step photos and shares some other links to recipes she has tried. picture by Eat. Live. Travel. Write. So how about you? 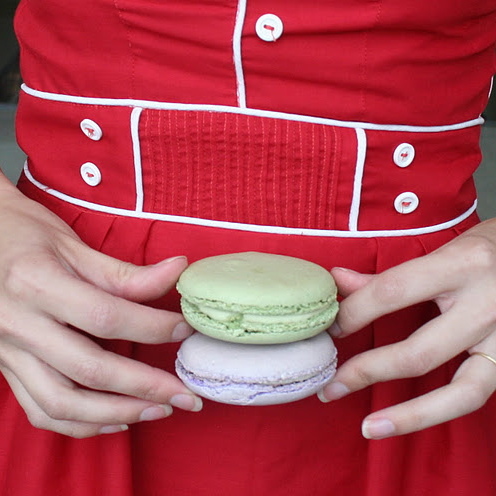 Have you ever tried making macarons? Did they turn out? Have a favorite recipe to share? Talk to me! Like anything else using egg whites, macaroons will only work if you beat them right. When beating eggs and sugar take them to looking pearlescent before adding the almonds, then don’t overdo the macaronage stage. Just found this post and had to share my experience. For years, I traveled for business in Belgium and France. In the executive lounge they would put out treats in the evening. I never thought the pretty little puffy cookies looked like they would taste good, until I tried one. HEAVEN! I would go to the lounge to hijack these lovely confections before going to dinner, because if I waited they would be gone. It was years later that I actually found out what they were. They were difficult to come by here in the states, but when I did find them, they were so expensive. That started my quest to learn to make them. It took me a while to finally get up the steam, but I did a lot of research on the web and decided to go with Martha Stewart’s recipe. I am not a baker, but just wanted to do it. My first batch had some problems with some cracked tops and I tried to fill them with Caramel made with salted butter. A little too ambitious here; the caramel was too runny, but Ohhhh, they tasted great. Next I made them for a company bake sale. Vanilla filled with salted caramel buttercream and Chocolate with choc ganache, I could tell there were many that had the same initial reaction that I had had years before; they were not selling. Then I noticed the few people that kept coming back and had horded them in their offices (In the know). Every recipe is different and I think every kitchen is different as well. I had varying results in my cousin’s kitchen giving a demonstration for my Aunt who bows to Ladurrie and says mine are better. That’s very sweet, but not true. The various articles on the web have been helpful to me in correcting problems. By no means and I an expert, as I have probably only made them 5 time, but each time I make them I try something different. The nice thing about Martha Steward’s recipe is that it is a small batch (two pans, about 16 pairs total) I usually make 2 to 3 batches at a time. That way you immediately try to correct your mistakes or try different flavors. – plus a add a tad more almond flour. – pay attention to your batter, you want it glossy and to fall from you spatula in thick ribbons. – After you pipe the cookies bang the pan a couple times on the counter to release any air bubbles. 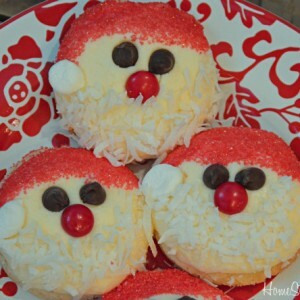 – Let the piped cookies sit for a minimum of 20 to 30 minutes for a crisp shell and firm foot. – Cookies must be totally cool before you pipe the filling. Let me know if this was helpful. As someone else said above, it is so rewarding when they come out great! This is fantastic Lindy and couldn’t come at a better time! We have a girls’ craft night once a month and this month we are tackling macarons together. I’m excited to try my hand at them again since my last attempt was not a successful one. Thank you so much for taking the time to share your experience and tips! I hear ya. So many factors seem to make them go wrong. I just keep buying mine but would love to master making them. Good point Peggy. A good mixer can make all the difference in the world. Hmmmm. Let me know how it goes! Hi Beth, These photos are so pretty as usual. Just popping by to say Merry Christmas & thank you for a year of inspiration & great linky parties on your blog. I have never even seen these before. They look simply amazing and flavor combinations seem almost endless. I will be trying my hand at these soon, thank you so much…may I ask, what is your favorite flavor combo? I love them, too! It’s so nice to be able to grab a gf treat that’s pretty, too, at a bakery. They are a bit tricky to make, but even the ones that aren’t as pretty looking still taste amazing. Thanks for sharing all the tutorials. I actually have made macaron’s, and I’ll tell you the most frustrating part: I tried multiple recipes, and each time, when I thought I was “onto something” that resembled success, I couldn’t duplicate it to make it successful a second time! But let me tell you, when you do have a batch that turns out, the feeling is so rewarding and the little treats are amazing. So, don’t give up! Try and try again! Even the experts will say that they’re tricky, but oh so worth it!! My bff sent me some in the mail yesterday from my favorite shop in New Orleans, Sucre. I’m wanting to learn to make them for the same reasons…they are so expensive!! Thanks for putting this post together full of easy tutorials!